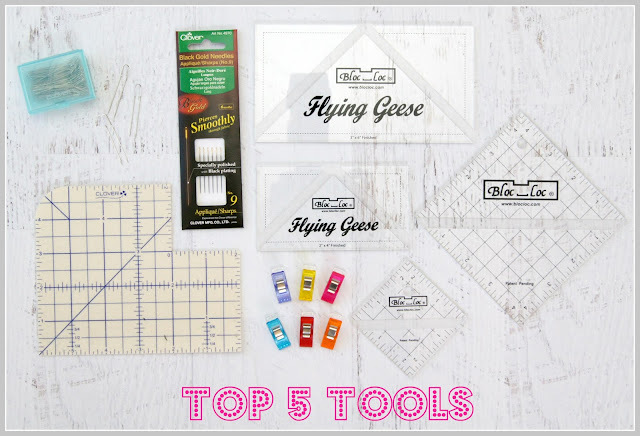 Tied with a Ribbon: Top 5 Tools! 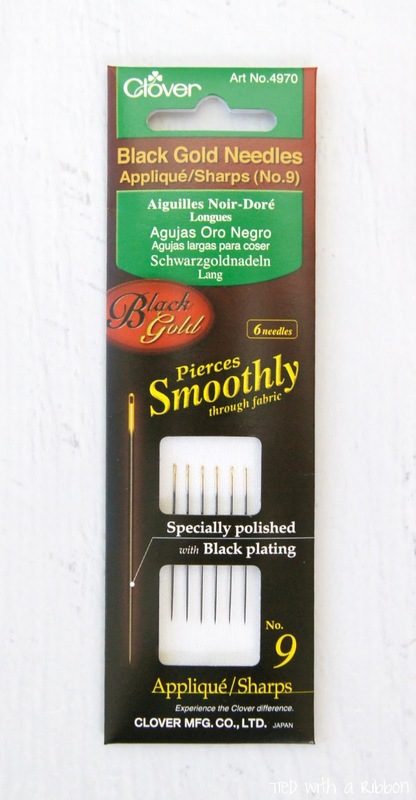 I often get asked about the Tools and Equipment I most often use in my own Sewing and Quilting. So I thought that a blog post might be a great way to share my Top 5 Pics. I looked carefully around my sewing room and thought about those Tools, Gadgets and pieces of Equipment that I always use. 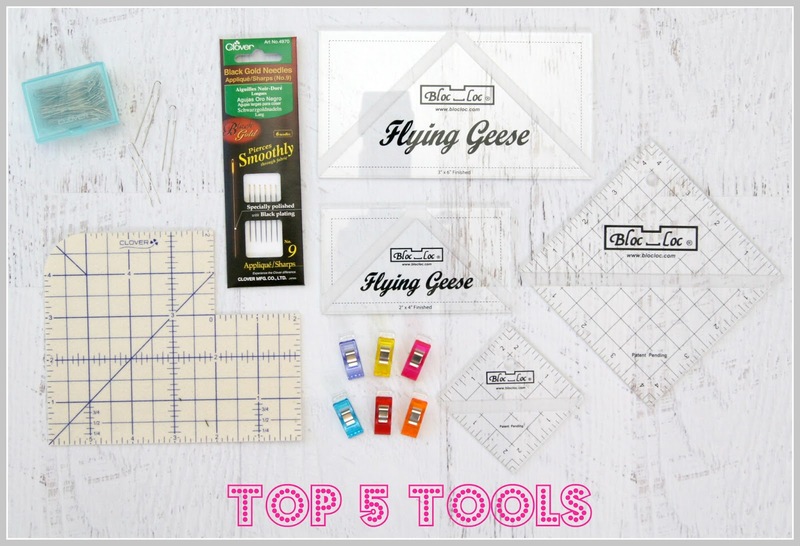 The tools that would be great for any one to add to their equipment toolbox for making sewing better and easier. These are my go-to's! 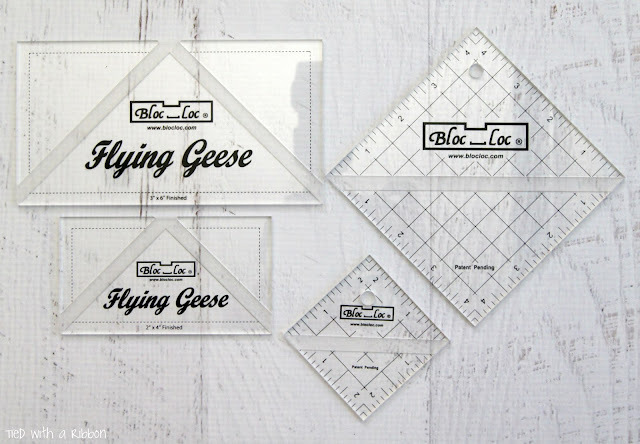 Bloc-Loc Rulers - I sew a lot of Half Square Triangles and Flying Geese blocks in my Quilting. 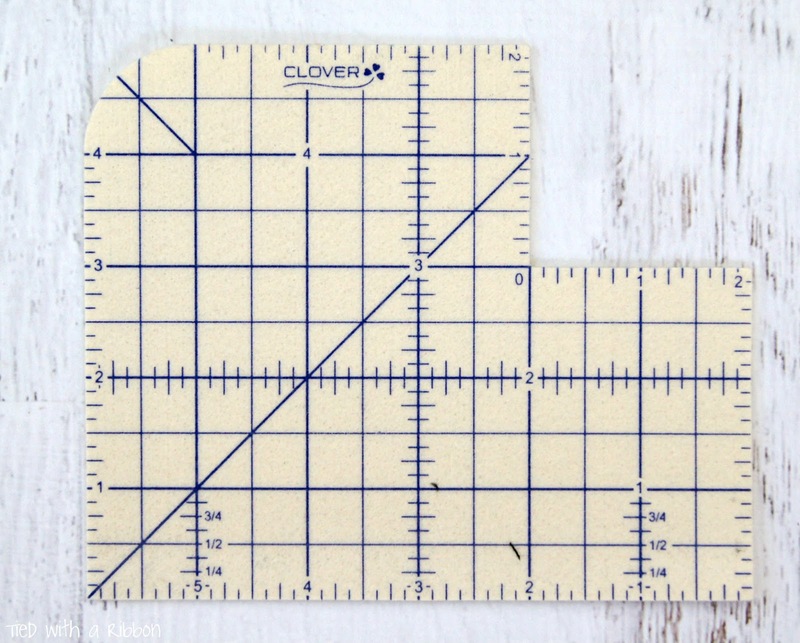 These rulers have changed how I sew them and I will never go back. There is an inbuilt channel in the back so that you can line up your seams so that you are able to trim down your HST's or Flying Geese down to the correct size with perfect points every time. While some may see the trimming as an extra step I think it makes for a much more professionally finished quilt and saves you battling to match up points as you sew. Bloc-Loc rulers are widely available, come in a variety of sizes and can be found here in Australia. 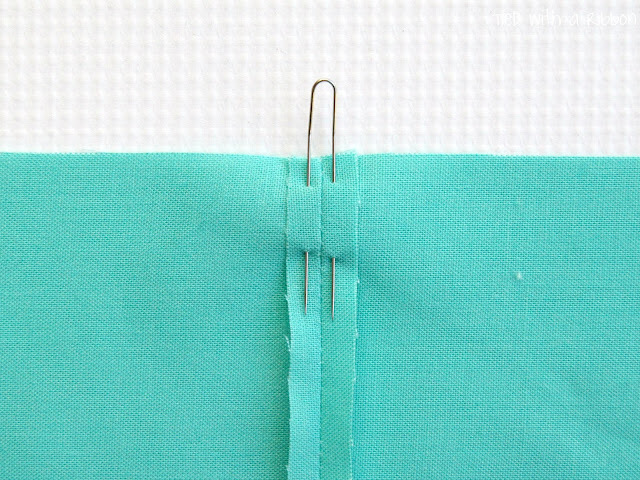 Clover Fork Pins - These are the best little gems of pins for when you are working with seams that you have pressed open. They slide either side of the pressed seams to hold the seams perfectly as shown below. 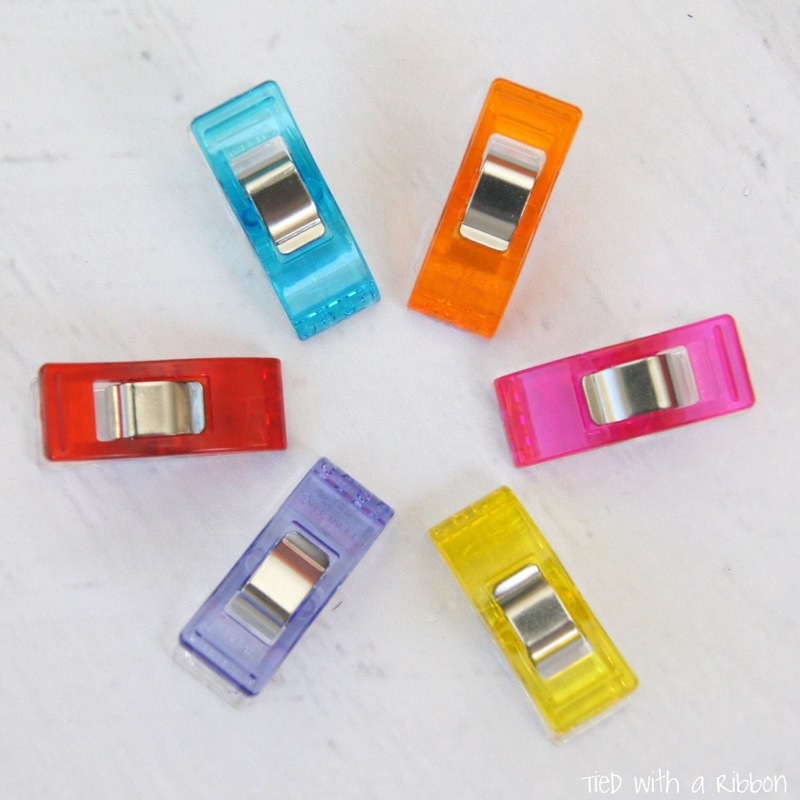 Clover Binding Clips - I have to admit that I don't actually use these Clips for binding but for so many other uses within my sewing room. I love using them for English Paper Piecing to hold my fabric covered papers together (as shown below). I use them to hold groups of fabrics together when sewing. 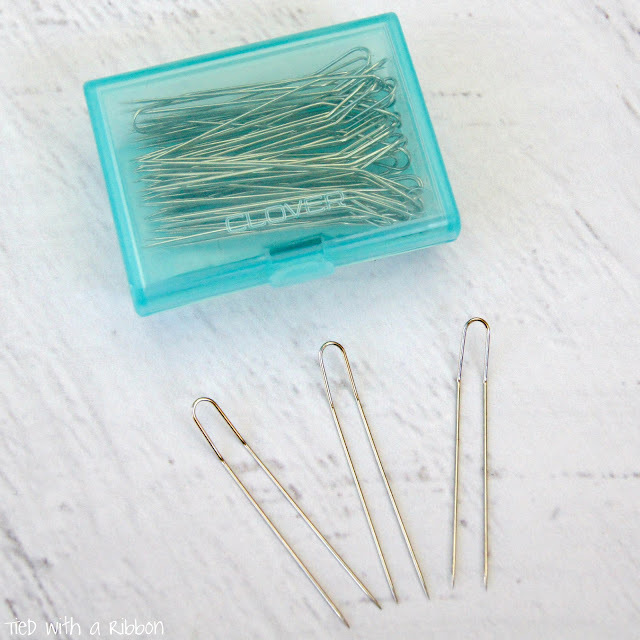 I use them to hold Linings and Outsides of projects together while top stitching such as in Bags or Fabric Baskets - anytime where regular pins are filly to work with. Clover Pressing Mat - when I spied this little mat at the Craft show earlier this year I have to say I hesitated at buying this. I don't like Gadgets for the sake of it - I like products that work and will be used regularly. Well this has been one of the best items I have bought in a long time. I often sew hems, casings and turn down fabric. This Pressing Mat means I don't have to take my tape measure to the ironing board overtime with me anymore and I just fold over the fabric to the required length and press. Seriously this is well worth getting hold of if you sew lots of hems, sew lots of zips into things like cushions or other projects or make casings for things like drawstring bags. 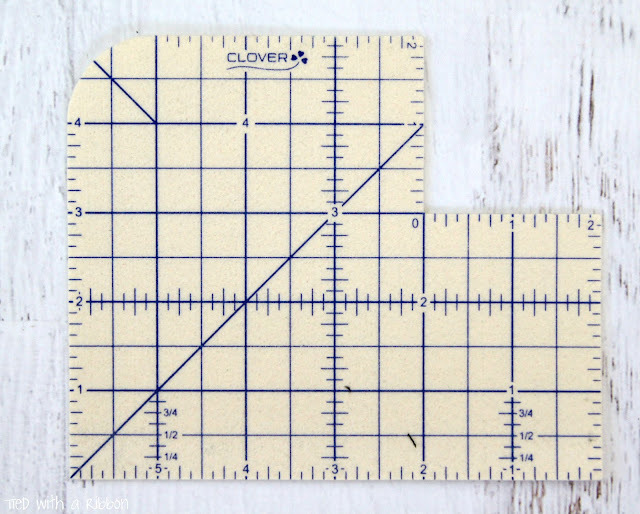 This has become one of my most used tools in my sewing room. Clover Black Gold Needles - Appliqué/ Sharps No 9 - I do a lot of hand sewing. These are my needles of choice for English Paper Piecing, any mending, sewing my binding down or anywhere I need to use a needle and regular thread. These glide through your fabric and have a nice flex as you work but are not flimsy. It is easy to get caught up buying Gadgets, Tools and Equipment that end up on the shelf, not being used. 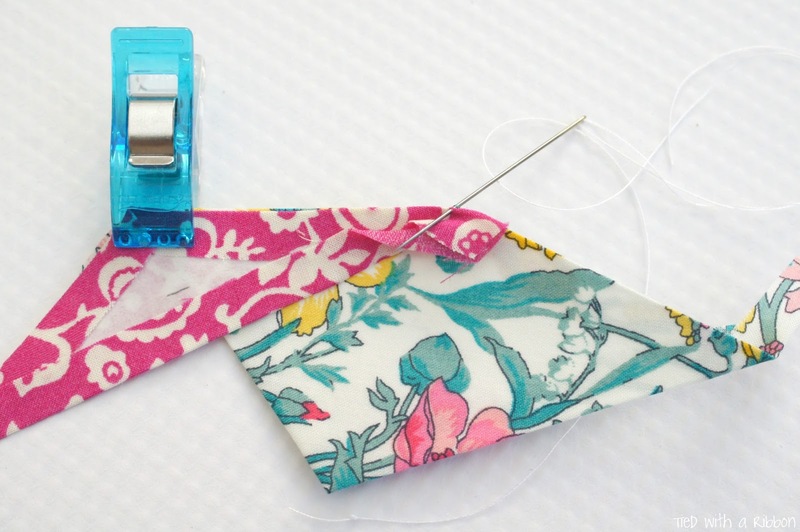 Tools that help make your Quilting and sewing more enjoyable are a great investment in your love of sewing. I had never heard of fork pins nor a pressing mat. A very helpful and interesting list.